Among the recipients of the inaugural Ada Lovelace Medal are NSW’s Chief Scientist and Engineer, who was recognised for her contribution to the profession and wider society. Mary O’Kane, the NSW Chief Scientist and Engineer, has won the inaugural Ada Lovelace Medal for an Outstanding Woman Engineer, a new national award that recognises the contribution Australian women in engineering have made to the profession and to wider society. Mary O’Kane has held numerous and diverse roles over the past 30 years. “She has been involved in many fields: from her original specialisation of speech recognition and artificial intelligence, to stimulating Australian innovation, national energy policy, higher education, international development, computing and the fostering of young women and early career researchers,” said Mark Hoffman, Dean of Faculty of Engineering at the University of New South Wales (UNSW), which created the award. Other winners included Athena Venios, technical and group director at AECOM, who took out the Judy Raper Award for Leadership; and Monique Alfris, co-founder and director of Pollinate Energy, who won the Maria Skyllas-Kazakos Young Professional Award For Outstanding Achievement. Venios is a civil engineer who has worked on major projects in water and transport, held leadership roles in transport and infrastructure programs for major sporting events, including the Sydney and Athens Olympic Games, the Melbourne Commonwealth Games and the Melbourne Grand Prix. 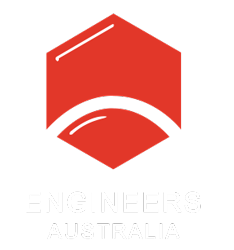 She founded and chaired the KBR Women’s Professional Engagement group and has been vice-chair of Engineers Australia’s Women in Engineering Sydney Division. Alfris co-founded Pollinate Energy, a not-for-profit social enterprise founded in 2012 that provides access to affordable clean energy to improve the lives of poor people living in India’s urban slums. Previously she worked to develop micro-financing in several Asian countries, and in a number of green building consultancy roles in Africa and Australia. She has a Bachelor’s degree in Photovoltaics and Solar Energy Engineering from UNSW.